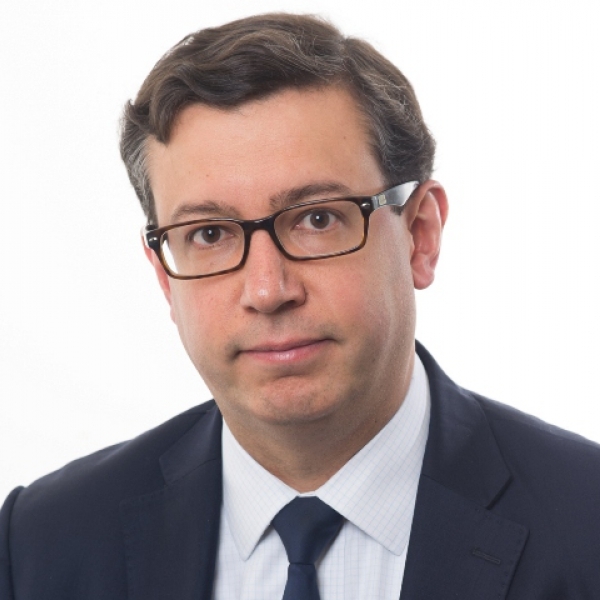 Eduardo Silva Romero, co-Chair of Dechert’s International Arbitration global practice, focuses his practice on arbitration matters, particularly disputes involving States and State entities. An acknowledged expert in international arbitration, Mr. Silva Romero has supervised numerous proceedings before arbitration panels worldwide. Former Deputy Secretary General of the ICC International Court of Arbitration, Mr. Silva Romero has far-reaching experience in all areas of international arbitration, including international sales and distribution contracts, construction, telecommunication, mining, oil and gas, and electricity-related disputes. He advises on arbitration matters conducted under the auspices of the ICC, ICSID, AAA and the SCC, as well as in ad hoc proceedings under the UNCITRAL and EDF arbitration rules. As an arbitrator, Mr. Silva Romero has acted in more than 100 arbitrations. Mr. Silva Romero teaches Investment Arbitration and International Contracts at the Paris Institute for Political Studies (Sciences Po), Arbitration at the University of Paris-Dauphine (Paris IX), and is a Professor of International Law at the University of Rosario’s Law School in Bogota. He is Co-Chair of the IBA Arbitration Committee and has published dozens of books and articles on international arbitration and other matters. Contributor of “International Arbitration in the Energy Sector” in Oxford University Press by Maxi Scherer, 2018. “The Extension of the Arbitral Agreement to Non-Signatories in Europe: a Uniform Approach?” in the American University Business Law Review, 2016 Vol. 5 Issue 2. “Chronique des sentences arbitrales de la Chambre de Commerce Internationale – commentaire sous la sentence finale n° 13997” in Clunet, N° 2/ 2016, p. 607. “Aux origines de l'arbitrage commercial contemporain : l'émergence de l'arbitrage CCI (1920 – 1958)” in Revue de l’arbitrage, 2016, N° 2, p. 403 et seq. “Some Remarks on the Contribution of ICC Arbitrators to the Development of International Commercial Arbitration Involving States and State Entities” in International Arbitration Under Review, ICC Publication, 2015, p. 401 et seq. “Consolidation and Parallel Proceedings” in Building International Investment Law: The First 50 Years of ICSID, Kluwer, 2015, p. 601 et seq. (With Audrey Caminades), “Actualité des Clauses de Stabilisation” in Le contentieux extractif, ICC Publications, N° 770F, 2015, p. 51 et seq. (With Fernando Mantilla Serrano), “Continent latino-américain” in the Paris Journal of International Arbitration, (Les cahiers de l’arbitrage) 2014-3, p. 631 et seq. “Confidencialidad y transparencia en el arbitraje internacional” in Lima Arbitration, N° 5, 2012/2013, p. 35 et seq. “De la confidencialidad del arbitraje internacional y materias aledañas” in Cuestiones Claves del Arbitraje Internacional, Edited by D. Fernández Arroyo and E. Gaillard, Universidad del Rosario, 2013, p. 165 et seq. “Chronique des sentences arbitrales de la Chambre de Commerce Interna-tionale – commentaire sous la sentence finale N° 12553” in Clunet, n° 1 / 2013, p. 205 et seq. “Immunity and Liability of Arbitrators: what is the Proper Balance ?” in Players’ Interaction in International Arbitration, Edited by B. Hanotiau and A. Mourre, Dossiers ICC Institute of World Business Law, 2012, pp. 93 et seq. (With Pierre Mayer), “Le nouveau règlement d’arbitrage de la chambre de commerce internationale (la “CCI”)” in Revue de l’arbitrage, 2011, N° 4, p. 897 et seq. “Wittgenstein et la philosophie du droit”, Paris: Presses Universitaires de France (PUF), Collection Droit Ethique Société supervised by François Terré and Marie-Anne Frison-Roche, 2002.